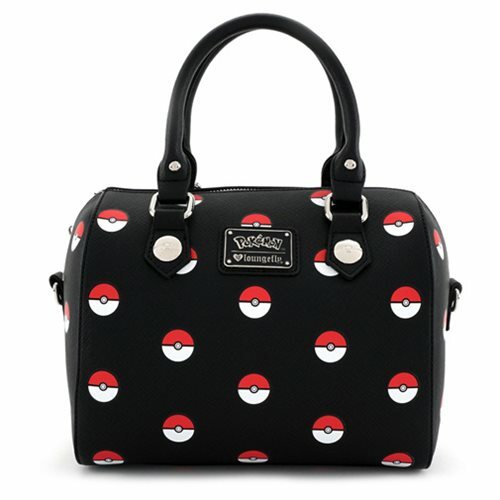 Gotta catch them all in your Pokemon Pokeball Print Black Duffle Bag Purse! With a choice between short handles and a removable shoulder strap, the Pokemon Tropical Starter Print Duffle Purse measures approximately 10-inches tall x 7 1/2-inches tall x 7-inches long. Ages 13 and up.